Athletes in every sport are now realizing the performance benefits that altitude training has on can have on strength, power and endurance. Through a combination of sleeping in normobaric hypoxia every night and moderately working out at altitude 2-3 times per week, athletes can increase performance to otherwise unachievable levels. Scientific studies have shown improvements in VO2 Max and Lactate Threshold by as much as 10%. 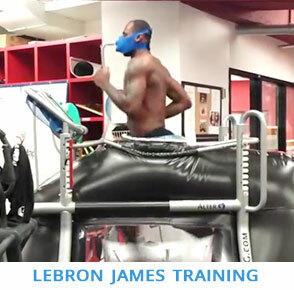 The Hypoxico Altitude System has been an incredible addition to our strength and conditioning program. It’s a revolutionary, cutting edge way of training that gives us an advantage over the regular day to day methods of conditioning our athletes.